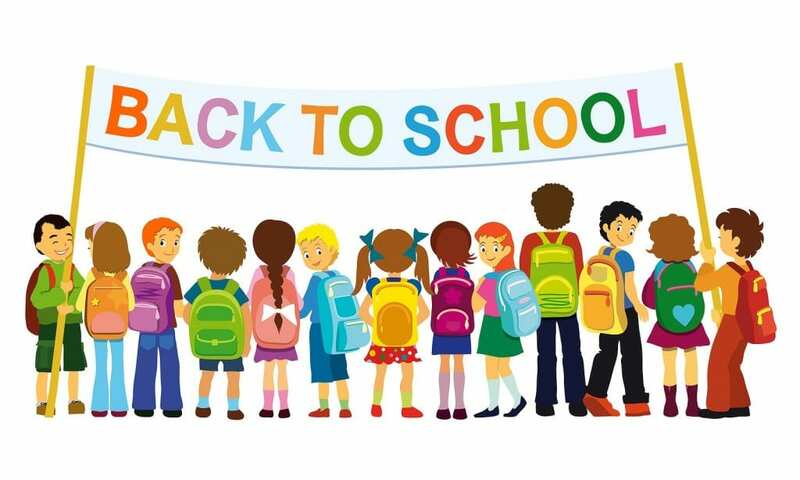 BACK TO SCHOOL…NOT BACK TO LICE! It’s the start of a new school year! Time for freshly sharpened pencils, a crispness in the air, learning and growing, and creepy crawly infestations. Yes, you read that last bit correctly. Fall is when we see a spike in head lice incidence. Students are ideal prey for head lice – youngsters cluster in close quarters and tend to have fine hair that makes it easier for lice to attach. It’s also a fact that chemical lice treatments are becoming ineffective. According to a new study, head lice in 25 or more states have developed resistance to over-the-counter remedies – even those widely recommended by physicians and schools. The good news is that there are measures families can take to reduce the likelihood of bringing home these despicable creatures. Take a look at our top 6 simple tips for avoiding nits and lice this school year. Style with a purpose. A styling product like The Nit Nanny Mint Detangler Spray gives a one-two punch – it makes combing out hair a breeze as it deters lice. Plus, it’s non-toxic and safe for the whole family. Made with all natural ingredients, it can be used on wet or dry hair as a preventative measure to help repel lice. As a added bonus, its fresh scent is highly offensive to lice but heavenly to humans. Rock a fresh hairstyle. With boys, this is as simple as keeping hair short. For girls with longer hair, explore the many fashionable possibilities for wearing hair up – from a simple ponytail to elaborate buns and braids, a contained hairstyle is more difficult for lice to penetrate than a loose mane. Y.O.H. (Bring Your Own Headphones). If your child regularly visits a technology lab at school where public headphones are worn, it’s wise to send along earbuds for personal use. Avoid Performance Anxiety. We’re talking about shared use of wigs, hats, costumes, and brushes during school plays and other events. If your child is involved in these kinds of activities, encourage implementation of some basic anti-lice policies. A regular head check of kids involved in the production is a start. Using professional grade disinfectants on shared hair implements or having each child use their own styling supplies can help, too. Safety First…Equipment, That Is. Shared helmets, especially those that see frequent use in P.E. classes, can spread lice in rapid order. If your child is involved in a sport, you can purchase your own, high-quality safety gear if you’re concerned. At the same time, make sure your kids know that a case of head lice pales in comparison to the lifelong consequences of a serious head injury. It should always be top priority to protect your noggin, regardless of lice infection. Starry Nights. Whether it’s a night at home with the besties, a cheer squad sleepover, or an overnight band trip, individual sleeping bags are a better bet than shared bedding and pillows. Encouraging kids to sleep in a star pattern with feet touching and heads radiating out can also make a difference in preventing spread of lice – tell them it’s so no one has to sleep on the end and feel left out. It’s All About Accessorizing. Hats, hair bands, and scarves…the list of possibly contaminated items goes on. Ask your kids to keep their stylish extras to themselves. In addition, hanging a jacket on the back of a chair rather than in a crowded coat rack area is smart thinking. If preventative measures fail and you find your family in the midst of a head lice outbreak, never fear. At Lice Lifters DFW, we’ll not only help you eliminate head lice, but we’ll do it using a non-toxic and all-natural treatment protocol. After school and evening appointments are available. Questions? 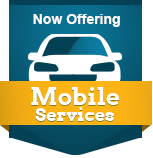 Contact us anytime at 972-805-1308 or at infodfw@licelifters.com. When kids get lice, treating them is a twofold proposition. Most obviously, you want to get rid of the little buggers ASAP – not only to eliminate your child’s itchiness and discomfort, but also to prevent spreading the infestation. The other aspect of a lice outbreak that parents must address is emotional in nature – the shame and embarrassment a child often feels as a result of having head lice. 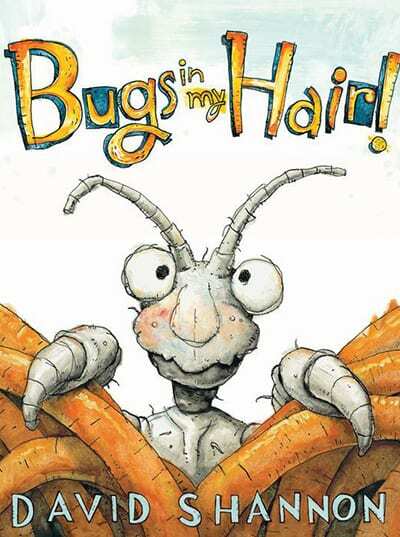 Known for modern children’s classics like No, David!, Caldecott Honor recipient David Shannon offers a fun and informative read about head lice. Kids will take comfort in Shannon’s familiar illustrative style, giggle at his humorous tale, and pick up helpful facts along the way. Good news: As with all of our client stories here at #LiceLiftersDFW, this one has a happy ending. 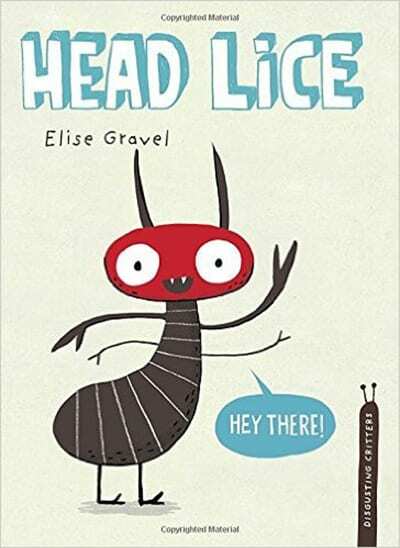 This book shares one girl’s experience with lice using fun illustrations and a catchy rhyming format. 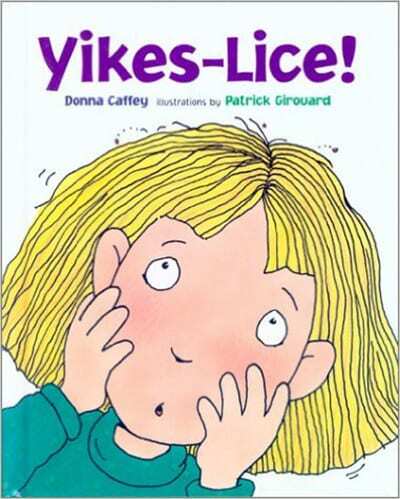 Facts about lice are included on each spread, and text is at a level that even young children can understand. Reading together about this creepy, crawly subject can help kids see that they aren’t alone when it comes to head lice. After all, the CDC estimates that between 6 and 12 million children between the ages of 3 and 11 contract head lice each year. If you’re struggling with stubborn lice in your household, please contact Lice Lifters DFW today. We can help you eliminate the problem once and for all using our non-toxic, natural treatment solution – call us at 972-805-1308 or email me at infodfw@licelifters.com.